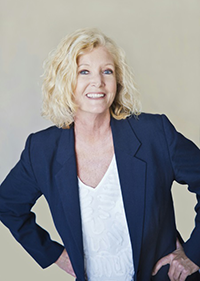 For over 25 years, Maureen ‘Mo’ Hayes has been involved with large-scale, transportation public works projects throughout the Western United States. She is currently employed by HNTB Corporation as government relations and business development leader for the West Division, based in the firm’s Orange County office. Hayes is active in numerous professional and business organizations to provide strategic assistance on project delivery policy and funding. She has developed a reputation as a problem solver and constantly works to find the most effective and efficient method of project delivery. Hayes has been instrumental in increasing the amount of alternative delivery methods such as design-build and CM at-risk. 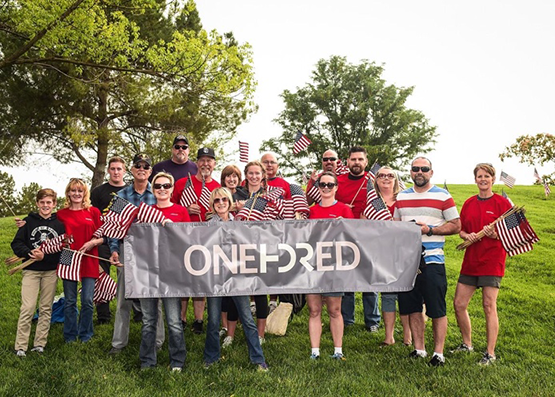 Around the world, HDR employees have been celebrating the corporate 100 year anniversary by giving back to the communities in which they live and work by performing community service projects like “A Flag for Every Hero” event at the Riverside National Cemetery in May. For more than a century, HDR has partnered with clients to shape communities and challenge the boundaries of what’s possible. Our expertise spans 10,000 employees, in more than 225 locations around the world – and counting. Our engineering, architecture, environmental and construction services bring an impressive breadth of knowledge to every project. Since we began in 1917, one of our goals has always been to continue our tradition of building communities and connecting people and places while improving lives. Community has always been at the heart of what we do. That’s why our California employees opted to celebrate HDR’s 100th anniversary by giving back to their local communities through a series of community events. They included STEM and education related activities and multiple clean-up and beautification projects. Two events of note are A Flag for Every Hero project, which honors more than 200,000 heroes with flags on their gravesites twice a year. Another event engaged our entire Los Angeles office to raise funds for the LA Mission, a local homeless shelter. We’re proud to be a part of the Southern California community since 1973, our 400 employees and of the projects we have had the privilege to work on, including the largest transit and infrastructure projects for the Los Angeles County Metropolitan Transportation Authority’s Link Union Station and Emergency Security Operations Center. Metro Gold Line Foothill Extension maintenance facility in Los Angeles, Calif.
Headquartered in Pasadena, Parsons is proud to sponsor the 2017 Mobility 21 Summit. Since 1944, we’ve been a trusted partner of local and regional government agencies and private firms, delivering some of California’s most significant infrastructure projects and helping the economy through our partnership with local businesses via our Small Business Partnership Program. We combine forward-thinking and cutting-edge technology to improve the way people connect in the region and with the world. Parsons is a “one-stop shop” that can participate at all project levels, from planning, design, and bid through final handback. We design. We build. We develop—as an equity investor or concession partner. From supporting owners or serving as the contractor on public-private partnerships and design-build, to integrated project delivery and construction management at risk, Parsons can execute projects of any size or complexity. 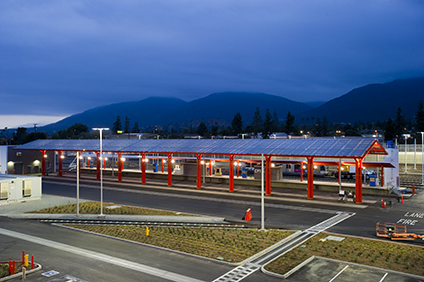 Some of our more recent high-profile work in California includes the Mid-City Exposition Light Rail Transit Design-Build; California High-Speed Rail, Contract CP1; the Metro Gold Line Foothill Extension from Pasadena to Azusa; the SR 91 Corridor Improvement Project; the Thomas Bradley International Terminal at Los Angeles International Airport; and the Landside Access Modernization Program of Los Angeles World Airports. Find out more at Parsons.com. 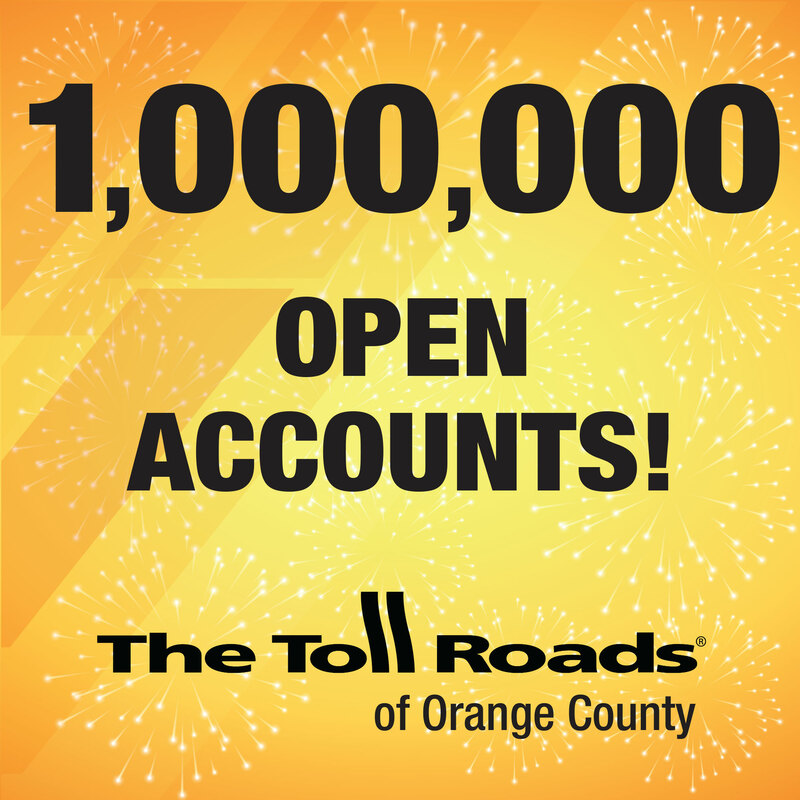 On Father’s Day, the Transportation Corridor Agencies (TCA) reached the milestone of having one million active electronic toll payment accounts. While that’s an ExpressAccount or FasTrak account for every household in Orange County, all 50 states have at least one resident with an account with TCA – with California, Nevada and Arizona leading the pack. TCA actually has more open accounts than the following states have residents: Alaska, Delaware, District of Columbia, North Dakota, South Dakota, Vermont and Wyoming. Born and raised in Orange County, FasTrak is nearly a quarter of a century old and is the preferred way to pay tolls – 60 percent of TCA’s open accounts are FasTrak accounts. FasTrak can be used to pay tolls on all toll roads, lanes and bridges in California. ExpressAccounts were introduced three and a half years ago and make up 40 percent of all open accounts. ExpressAccounts allow infrequent drivers to be identified by a photo of their license plate, but this option is only available on the 73, 133, 241 and 261 Toll Roads in Orange County. Click here to view infographics and countdown clocks that were posted to social media in support of our drive to one million accountholders. 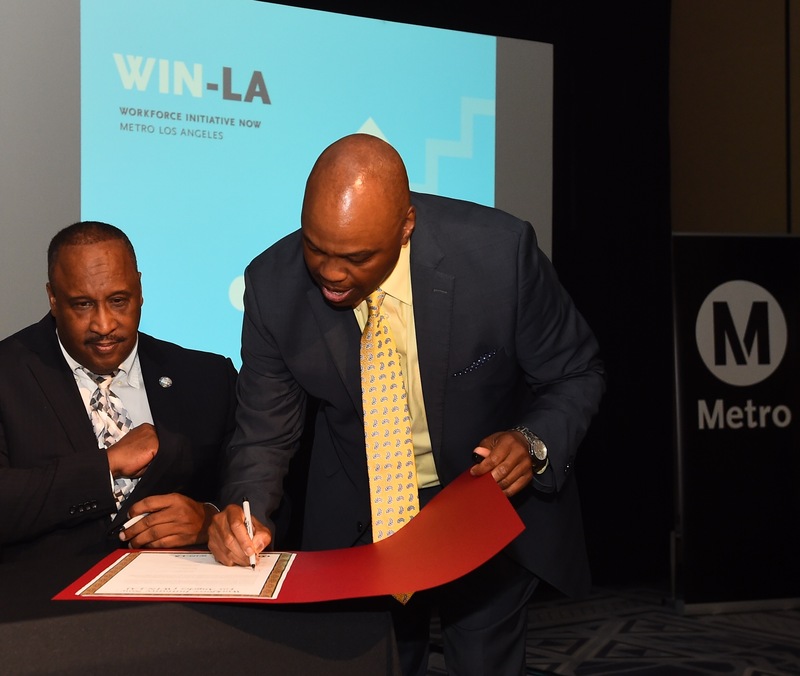 Metro CEO Phillip A. Washington signs MOU with Inglewood Mayor and Metro Board Member James Butts, committing to support of the WIN-LA program to create career pathways in the transportation industry. This month, the Los Angeles County Metropolitan Transportation Authority (Metro) launched Workforce Initiative Now-LA (WIN-LA), a groundbreaking workforce development program focused on creating career pathways in the transportation industry. The event in downtown Los Angeles introduced WIN-LA to prime contractors, small businesses and other potential partners to encourage their participation in the new program that is designed to benefit the entire region. The Orange County Transportation Authority recently secured a $629 million federal loan for the I-405 Improvement Project, which will begin construction early next year and is scheduled to open to drivers in 2023. Photo courtesy of the Orange County Transportation Authority. 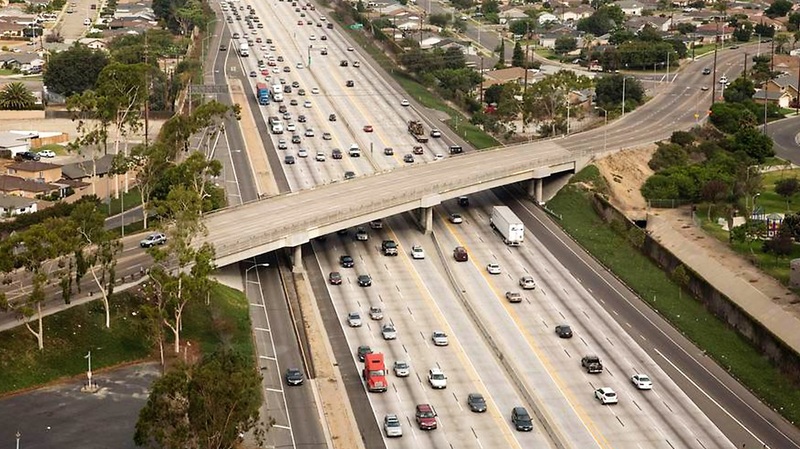 The Orange County Transportation Authority secured a $629 million federal loan for the I-405 Improvement Project this month, which will pay for a major portion of the $1.9 billion worth of freeway improvements set to begin construction by early next year. OCTA officials today signed the final documents with the U.S. Department of Transportation’s Build America Bureau for the loan through the Transportation Infrastructure Finance and Innovation Act, commonly called TIFIA. The OCTA board approved general terms of the loan at a board meeting late last month. By taking advantage of the low-interest rate of 2.91 percent, the TIFIA loan is expected to save about $300 million over the 35-year life of the loan as compared to traditional bond financing. The loan will be repaid solely using revenue collected from drivers who choose to use the 405 Express Lanes being built as part of the project. The money saved also will allow the 405 Express Lanes to remain free to two-person carpools during non-peak hours when the express lanes open, a commitment made by OCTA. With the loan secured, OCTA has given the contractor, OC 405 Partners, notice to fully proceed with the design and construction of the project. It’s expected the project will begin construction by early next year with completion anticipated for 2023. OCTA, in cooperation with Caltrans, is leading the I-405 Improvement Project between State Route 73 in Costa Mesa and Interstate 605 at the Orange County border with Long Beach. The design-build project will add one general-purpose lane in each direction of the I-405 between Euclid Street and I-605, as promised to voters through Measure M, the county’s half-cent sales tax for transportation improvements. This summer, join, Go Human — SCAG’s award-winning traffic safety and active transportation encouragement program — as we will be hosting 15 bicycle rodeos and safety programming booths for kids in Los Angeles County and Orange County. 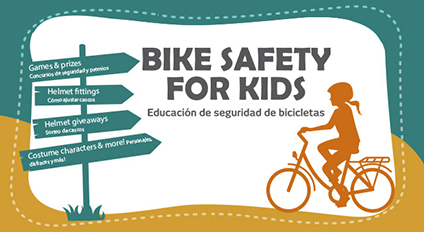 Bike rodeos, or bicycle skills workshops for kids, provide opportunities to learn safety tips, build bicycling skills and increase kids’ confidence on a bike. League Certified Instructors will teach helmet fitting, ABC Quick Checks, how to cross the street safely, bike handling skills, yielding and more. Through games, like Find the Hazard and Spinner trivia, as well as bicycle courses, kids experience hands-on learning and education (with friendly support from safety costume characters). Go Human invites you and your family to attend any of these programming events. Arrive early to receive a free helmet (while supplies last). More dates and locations will be added soon. For more information, visit http://gohumansocal.org/Pages/Calendar.aspx.